In case you missed it, Exchange 2016 hit GA! I have to apologize to you all right now, because I couldn’t have timed my eight week vacation in a hermetic monastery any worse. 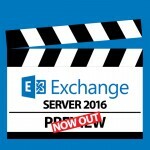 While I was gone, Exchange 2016 released to General Availability! That’s right, much like a new car line, we still had a quarter left in 2015 when Microsoft made Exchange 2016 available to download on September 28th! Here’s what you need to know. You can download Exchange version 15.01.0225.042, or Exchange 2016 to its friends, from http://www.microsoft.com/en-us/download/details.aspx?id=49161. The download is 1.7GB in size and is of course only available as a 64-bit version. What operating systems will it run on? Exchange 2016 will run on Windows 8.1, Windows Server 2012, and Windows Server 2012 R2. It strikes me as strange that it will run on 8.1 but it is not supported on 10, but stranger still that anyone would want to install it, even in a lab scenario, or a desktop operating system. Of course, another article from Technet does list Windows 10 pre-reqs, but again, why would you? Actually, that’s really just for the administrative tools to manage Exchange 2016, not Exchange 2016 itself! Frankly, three years in to 2012’s mainstream support, I wouldn’t imagine even installing on 2012, leaving 2012 R2 as the only real O/S for me. Oh, and, no core. It’s the full GUI or nothing. This install of Exchange does require that your Active Directory be running on at least forest functional level 2008, which means all your domains must be too. Since 2003 went end of life this shouldn’t be an issue for you…right? 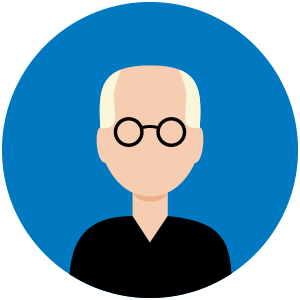 You will also need to do some domain work to get your schema and permissions in shape for Exchange 2016. The updates will require .NET Framework 4.5.2 to be installed on whatever workstation or server you are going to use to do this, as well as the Remote Tools Administration Pack. Use a workstation; not the server you plan to actually use to run Exchange 2016. For any Exchange 2016 server running what is called the Mailbox server role (which is only to contrast it with the Edge Transport role, the only other one in 2016) you must install several components before you begin. Start by opening an administrative PowerShell prompt and running this. Then, after those Windows Features have installed, and you have rebooted for good measure, install .NET Framework 4.5.2 and then the Microsoft Unified Communications APO 4.0 Core Runtime. Once those are installed, you are ready to deploy Exchange 2016. If you are going to use the Edge Transport role for hygiene, you only need to add Active Directory Lightweight Directory Services, and then .NET Framework 4.5.2. In an upcoming post, we will go through the install of Exchange 2016 into an existing Exchange 2010 org so you can map out your path forward. Check back soon! Also, if you have 2007 or 2013 and want to see a post on how to install with them, leave a comment and let us know! What about a compatible FaxMaker Version?